Photo taken by Tobias Schumann in Berlin in 2011, under the Creative Commons By-SA 3.0 license. I'm a science Ph.D, a photographer and a master of organization & optimization. For fun, I travel, I put things into boxes and I play Lego. For the more serious stuff, you can refer to the obligatory third-person biography below, released in the public domain. Feel free to steal from it shamelessly. Guillaume Paumier is a photographer, author and physicist currently working for the Wikimedia Foundation, the non-profit that runs Wikipedia. He grew up in Normandy, France, and Reunion Island, in the Indian ocean. He also lived in San Francisco, California and Toulouse, France. He currently resides in the San Francisco Bay Area. As a photographer, Guillaume Paumier has covered international scientific & popular culture conferences. He has photographed heads of state, Hollywood actors and other public figures. His work has been featured in books, magazines and on countless websites. He holds a Ph.D in microsystems for life sciences from the University of Toulouse, a Master's degree in nanotechnology, and graduated in physics engineering from the Institut national des sciences appliquées de Toulouse. He also holds a degree in Mathematics and Computer science from the University of Rouen, France. He's been participating in Wikipedia and its sister projects (mainly Wikimedia Commons) since 2005. He is a former member of the board, and former secretary, of Wikimedia France, the French chapter of the Wikimedia movent. In 2009, he co-authored a Wikipedia handbook with Florence Devouard. 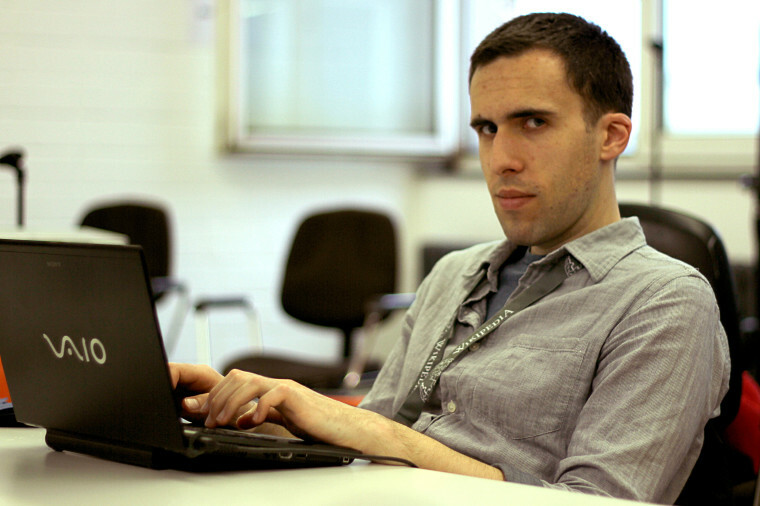 Guillaume Paumier has been working for the Technical department of the Wikimedia Foundation since 2009, first as a Product manager for the Multimedia usability project, then as the organization's Technical communications manager. In 2014, he became a Senior Analyst in the Product & Strategy department.